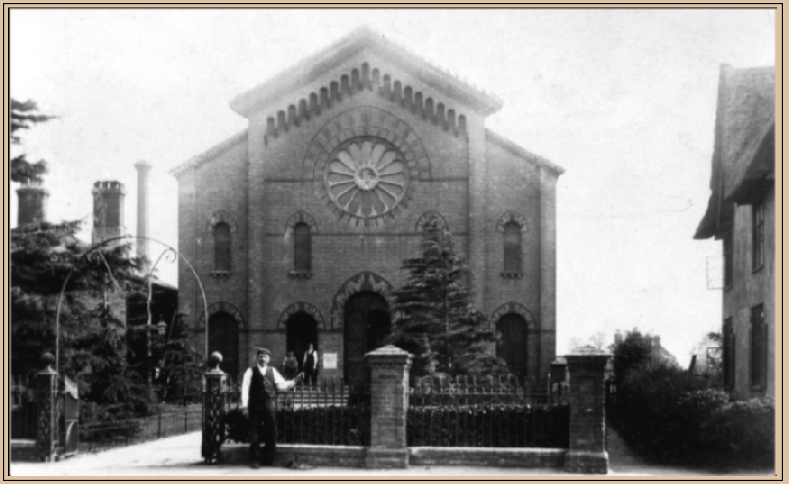 Each Autumn, the Baptist congregation celebrates the anniversary of their chapel, founded iin 1786. At the time it was the largest Baptist church in Essex. 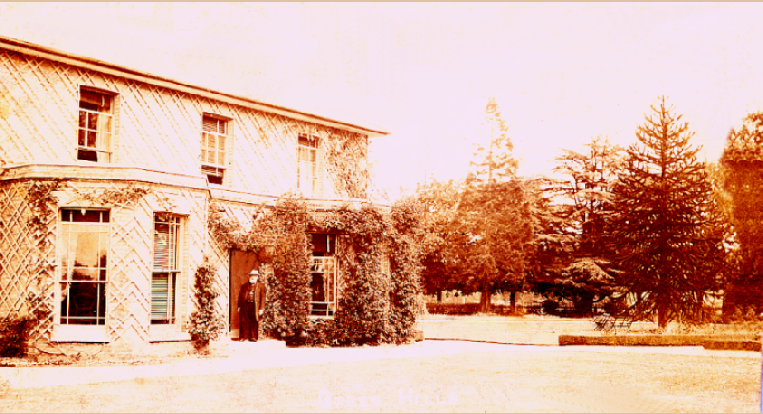 It was rebuilt in its present form in 1861. The Revd William Burnett served as the Baptist minister from 1903 to 1910. 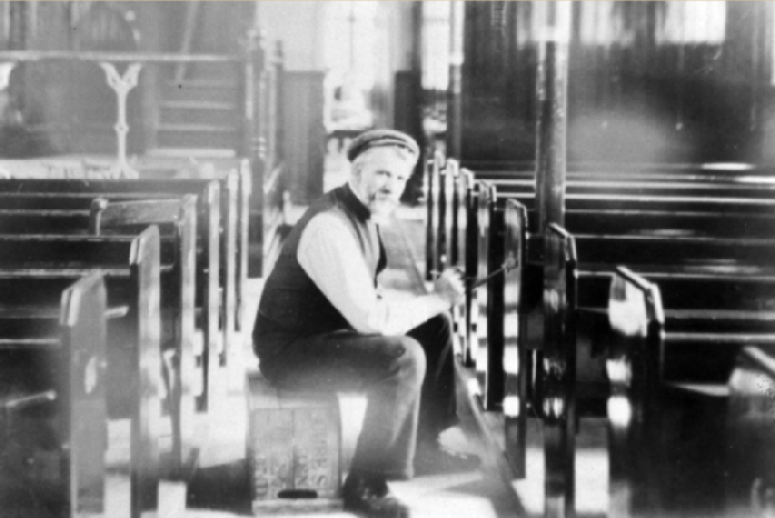 He is seen here, painting numbers on the ends of the pews as part of a major refurbishment scheme of which he was ‘the architect, designer and clerk of works’ according to the local paper. 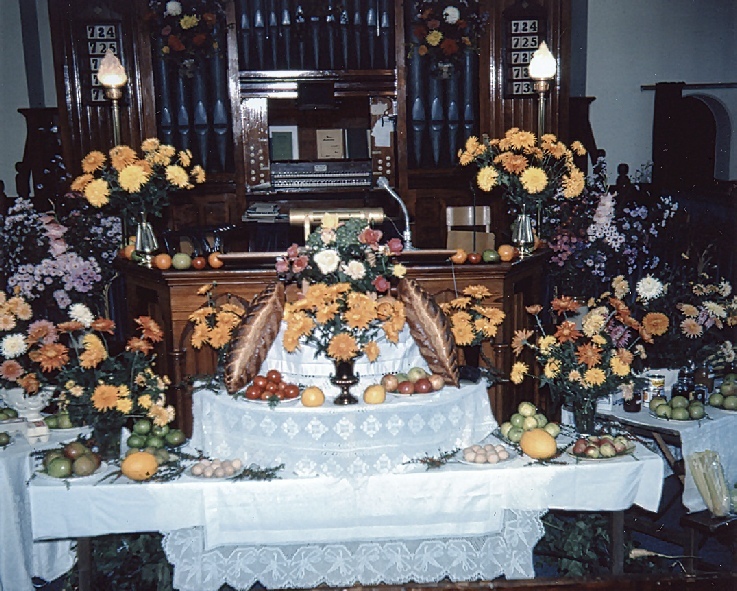 In this photograph from the 1950s, the chapel has been decorated with produce for the Harvest Festival service. James Augustus Tawell, seen here in the doorway of his residence ‘Greenhills’, was a generous benefactor to the Baptist Church. 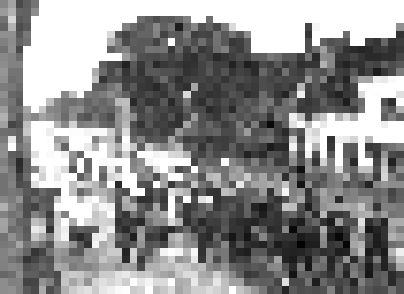 He donated the land for the Baptist Cemetery in Burrows Road in 1890. Before the creation of the National Health Service in 1948, Friendly Societies provided help with medical fees to less well-off families, as well as social and educational activities. 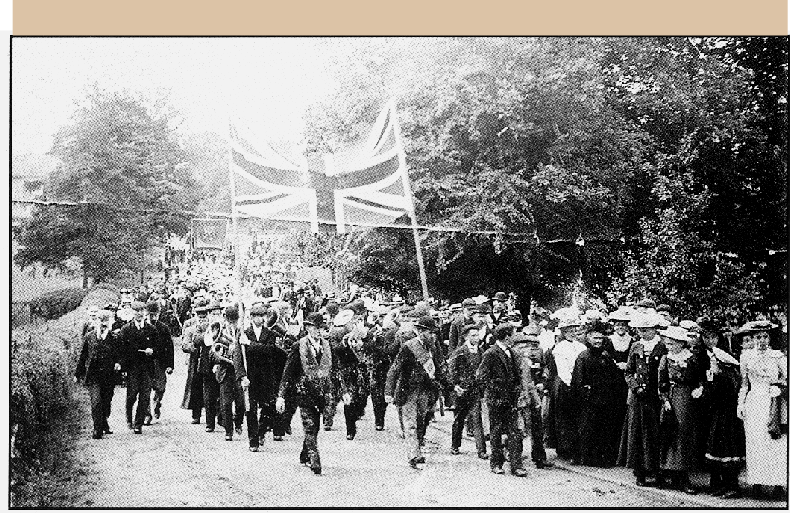 For the Peace Parade in 1919, officers of the Friendly Societies escorted the Union Jack as the procession reached the bottom of Church Hill. The local branch of the Oddfellows Friendly Society. the ‘Loyal Atlas Lodge’ was formed in 1880 and had 200 members by 1896. 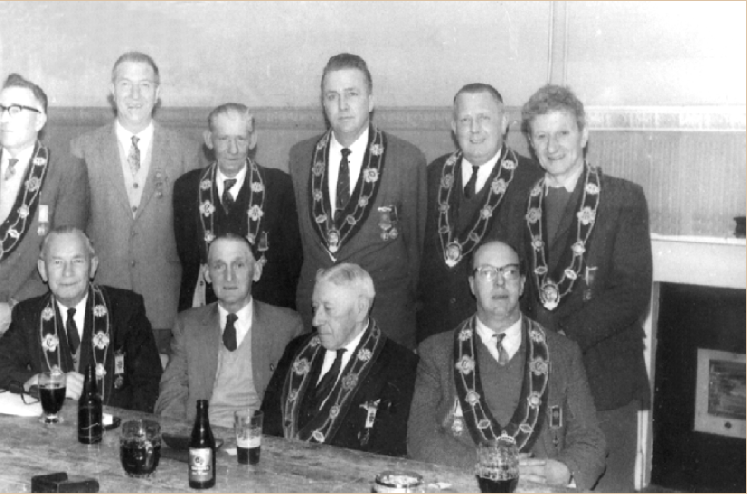 The Colne Valley Lodge of the Buffaloes Friendly Society, founded in 1924, was still meeting in the 1960s. Seen here are local members entertaining area officials at ‘The Drum’. Each Autumn, the Friendly Societies organised a church service to raise funds for local hospitals. 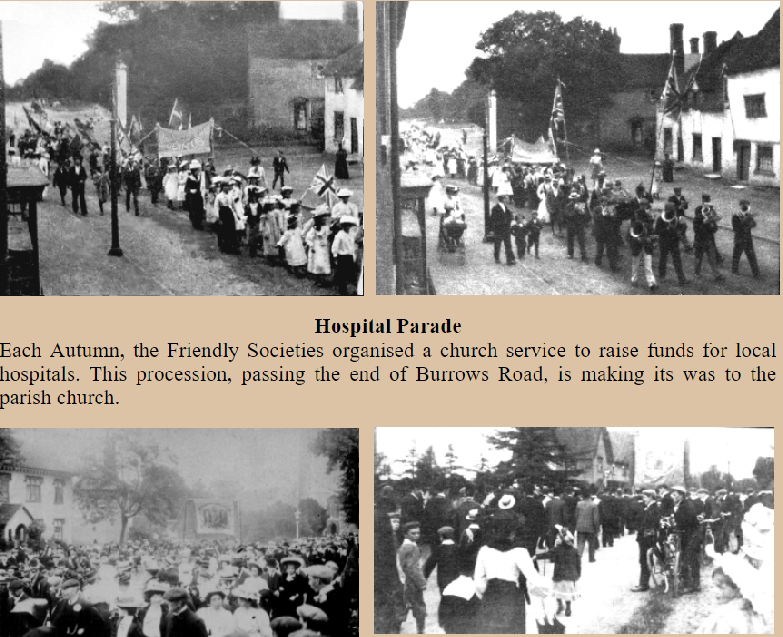 This procession, passing the end of Burrows Road, is making its was to the parish church. 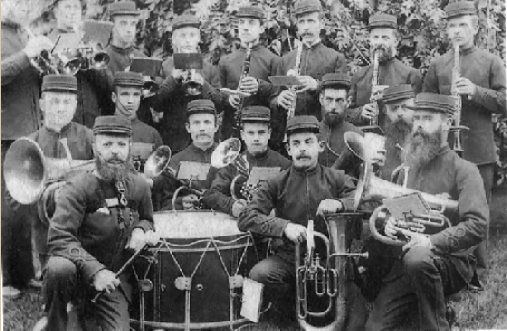 For parades and other social events, music was provided by the Earls Colne Band, seen here soon after their formation in 1880. 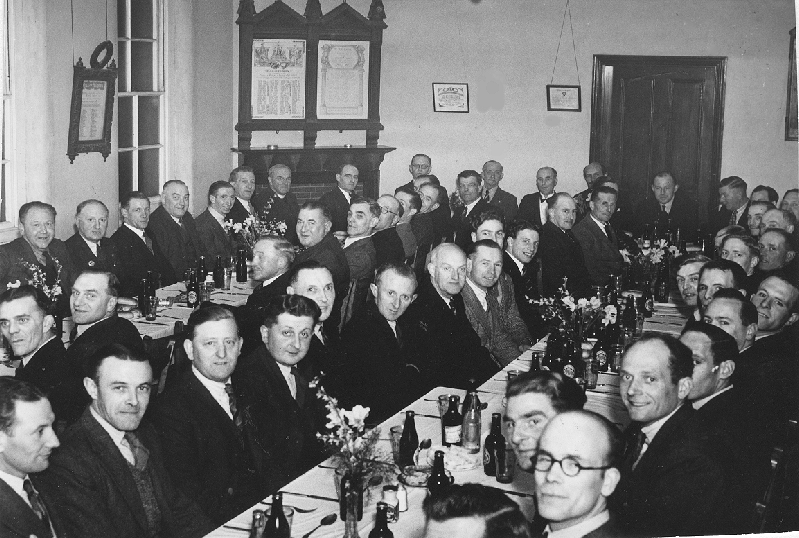 A large number of British Legion members attended a dinner in 1947, held in the back room of the Village Hall. Legion standards were on display each November for the Remembrance Sunday service at the war memorial.  However, this picture seems to be a march-past. 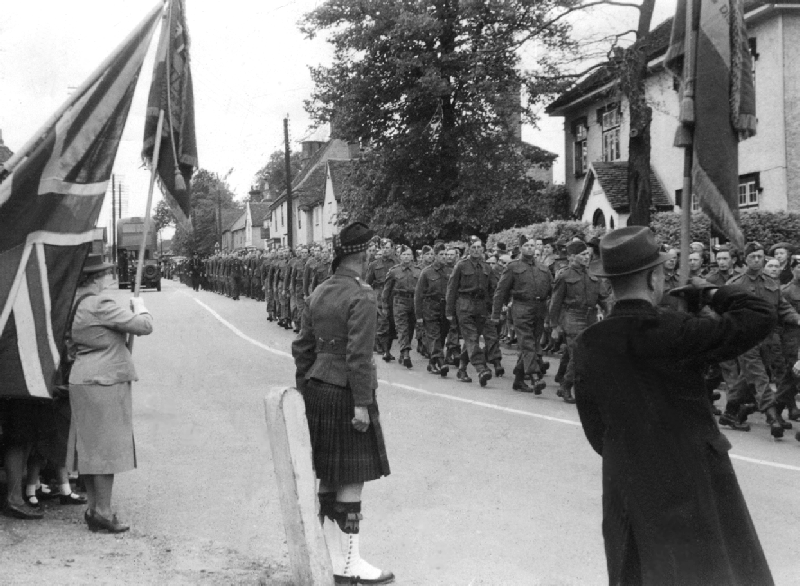 We think it may be the stand-down parade for the local Home Guard platoons at the end of the Second World War. 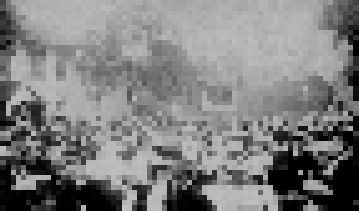 Can any one confirm that guess? 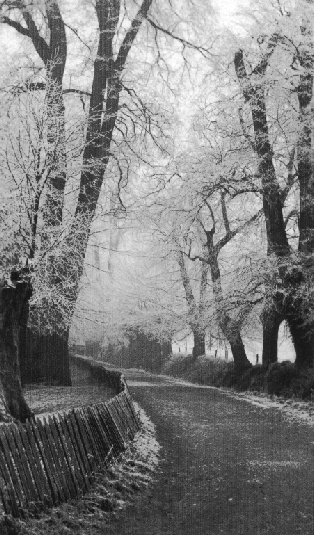 The exhibition is set out in four seasons of the year, commencing with Autumn, which is on this page. Each Autumn the Friendly Societies organised a church service to raise funds for the local hospitals.. This procession, passing the end of Burrows Road, is making its way to the parish church. In alternate years, the parade went in the opposite direction and the Hospital Sunday service was held in the Baptist church. 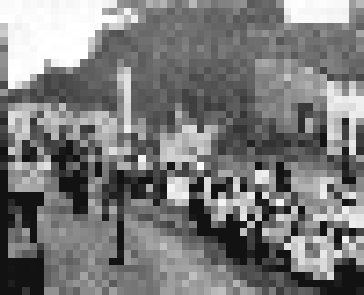 In these pictures the parade leaves the lower and of the High Street and arrives at The Green.